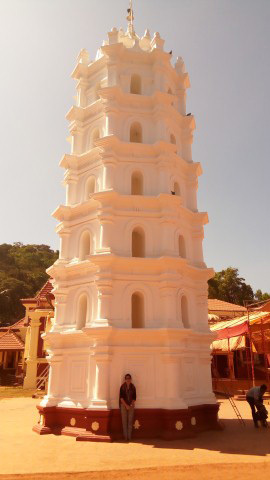 Goa is one of the many places that I would love going back again and again. 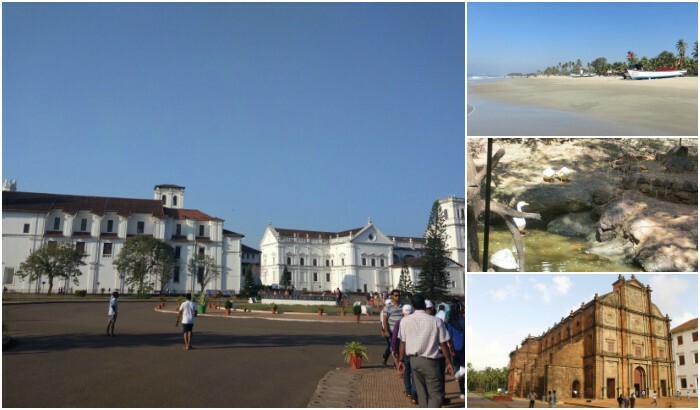 Whether it is the Portugese charm of old Goa or the pristine beaches of South Goa, the place is a treasure trove for anyone who is in love with archaic, Gothic architecture or is a nature admirer in pursuit of solace and tranquillity or is a history lover who loves getting transported to the bygone Portugese era. 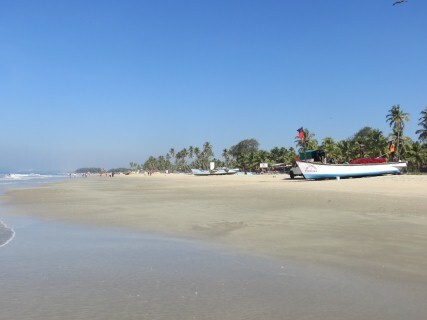 One of the longest beaches in Goa, Colva Beach is situated in the village of Salcete in South Goa. 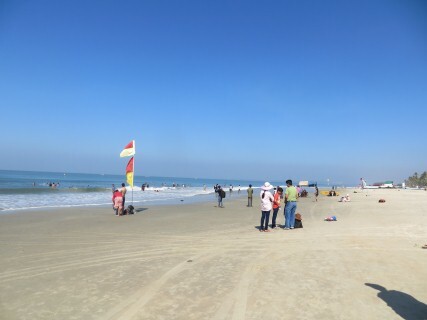 It is also one of the most beautiful and popular beaches in the state that attracts a lot of visitors all throughout the year. 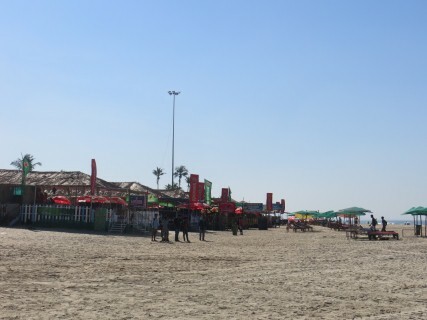 Just like other beaches, you can enjoy popular water sports or have a drink in the one of the shacks facing the beach but with possibly a much lesser crowd around. 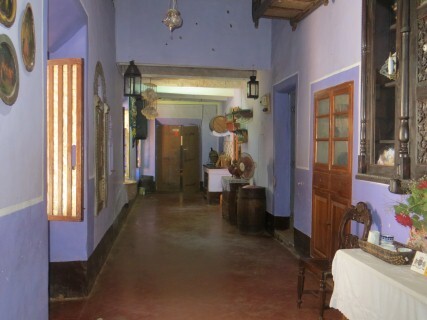 If you wish to have a peek into what Goa used to be during the Portugese rule, you can head to the Ancestral Goa Museum, an open air museum to have a glimpse of the rich old Goan heritage. 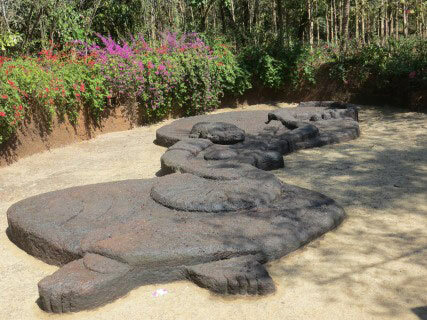 An audio guided tour and the strategically placed statues will add to your understanding of their culture. 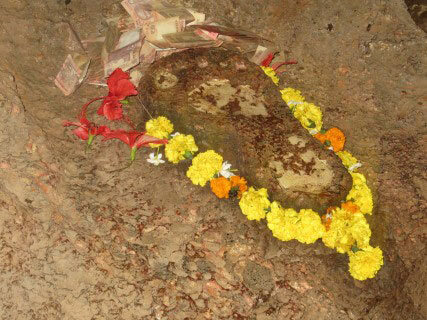 But the major attraction is the #BigFoot for which tourists flock from different corners; it is a foot imprint of a spiritual leader on a rock, touching which with a pure heart will make all your wishes come true. 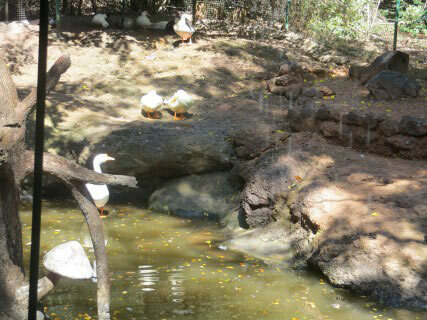 You will also come across a mini zoo, a small nursery and a souvenir shop while touring the museum premises. The time taken for touring this place is almost around 40-45 mins (if you want to minutely go through each and every detail provided on the plaques placed before the statues). 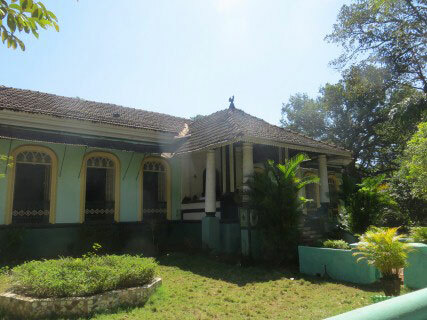 Just adjacent to the Ancestral Goa museum is the 250 years old mansion that belonged to a Portugese nobleman named Eufemiano Araujo Alvares and is now opened for public viewing. 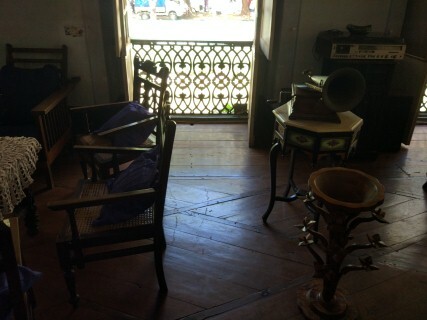 A sound and light show tour will take you around this well maintained building that houses a repertoire of antique items, furniture and souvenir used by the family. 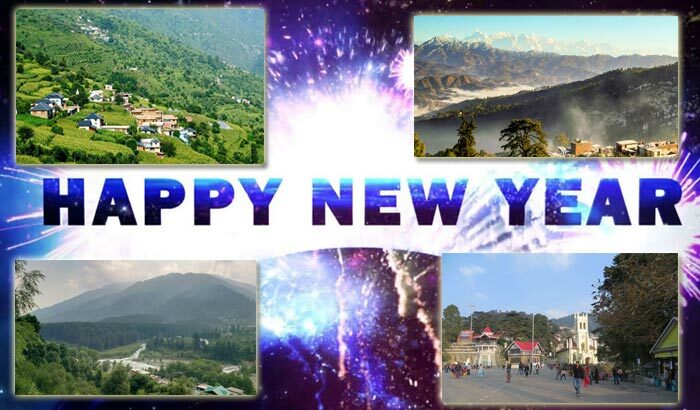 Popular Bollywood movies like Singham and Khelein Hum Jee Jaan Se were shot here. 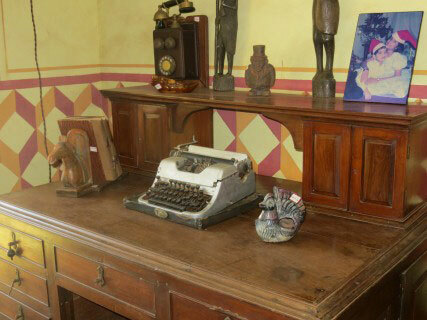 Another attraction of the mansion is the collection of close to 1000 Lord Ganesha idols that apparently belonged to the family cook. 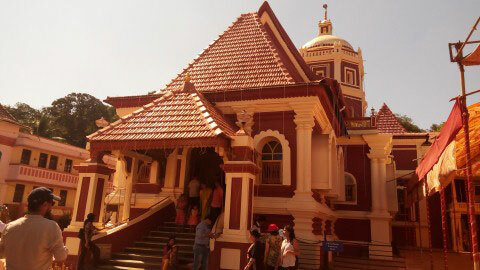 Situated 33 kms away from Panjim, Shree Shantadurga Mandir is dedicated to Goddess Shantadurga. 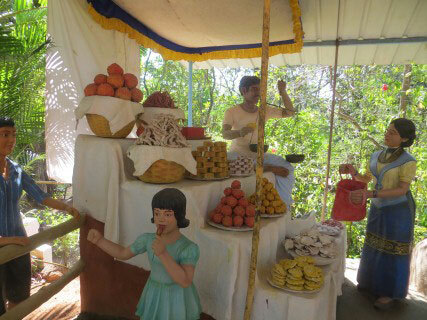 When the original temple in Salcete was destroyed by the Portuguese, the goddess was transferred to the current place and continued to be worshiped here. 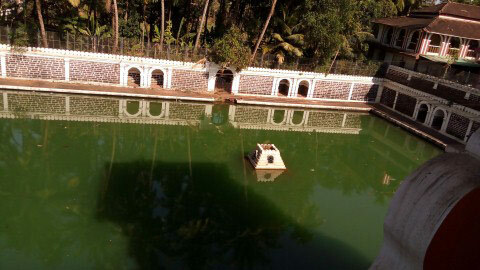 The temple is noted for its unique architecture, a huge tank at its entrance, a Deepastambha and the agrashalas (guest houses). 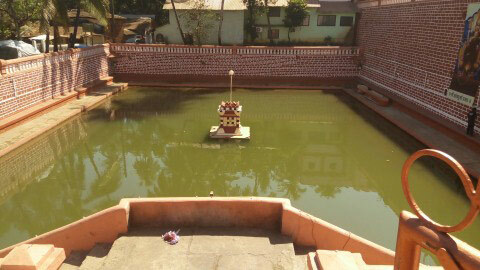 The main temple is dedicated to God Manguesh, an incarnation of Shiva. 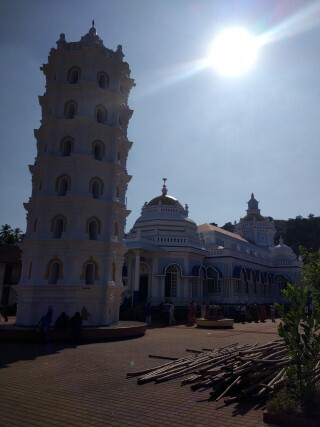 Just like the original Shantadurga Mandir, the ancient Mangueshi Mandir was part of the temple destruction spree carried out by the Portugese in Salcete and the shivalinga was then carried to the present location where the temple stands today. 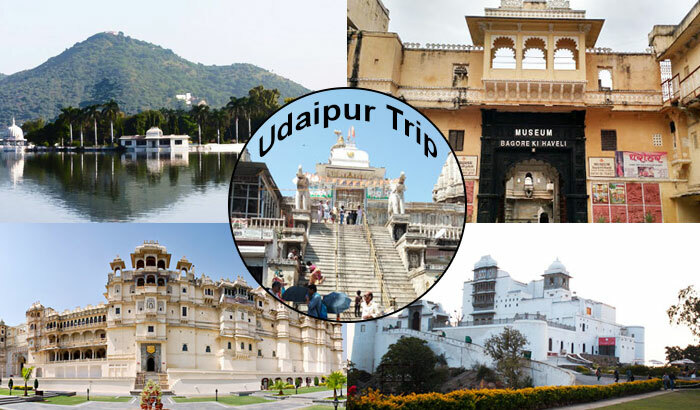 The temple complex has a prominent Nandi Bull, a beautiful seven-story deepstambha (lamp tower) and a magnificent water tank. The only disadvantage is that you have to park your vehicle half a kilometer away from the main Mandir and then walk through the local bazaar to reach the temple. 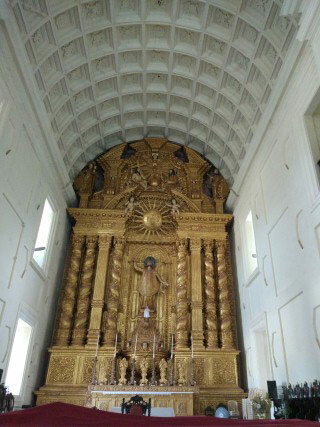 It is here where the mortal remains of St. Francis Xavier are kept. 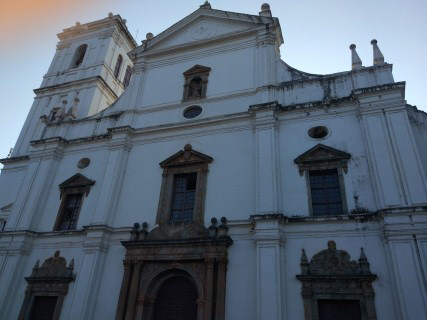 The church is located in Old Goa, which used to be the capital of Goa in the early days of Portuguese rule. 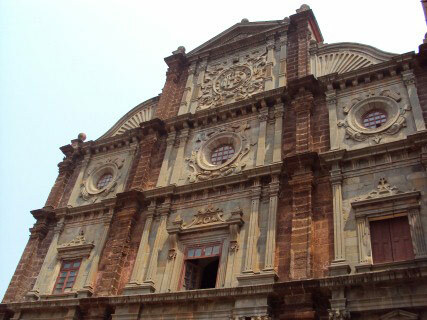 Built of black laterite stone, the church is a 3-storeyed building. 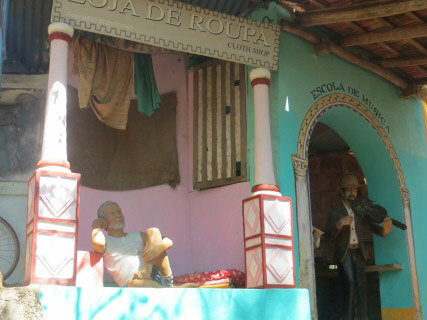 Once in every 10 years the remains of the Christian missionary are put on public display. 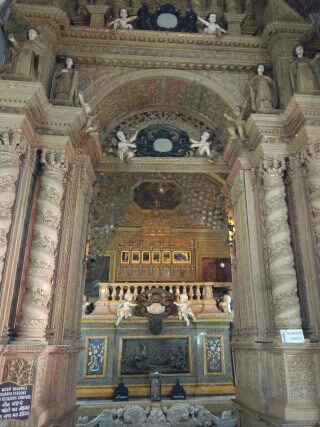 The church is also called “Bom Jesus” meaning “good Jesus” or “infant Jesus” to whom it is dedicated. The ornamented facade of the church building, the architectural grandeur of the beautiful interiors and the paintings depicting the life of St. Francis are some of the other attractions of the church. 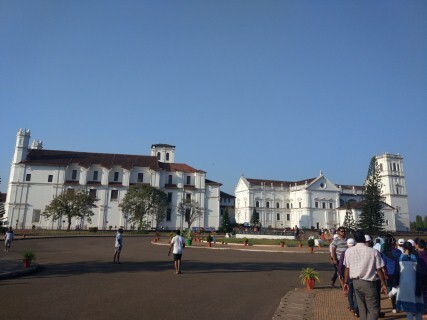 Just opposite to the Basilica of Bom Jesus is located the Se Cathedral, one of the other largest and ancient churches of Old Goa. Dedicated to St. Cathedral, the cathedral is marked mainly for the plainness of its style and architecture. If you look at the structure closely, one of the towers (located to the southern side) is missing that apparently got damaged in 1776 and never got built again. The facade with just one tower gives the structure its unique look. 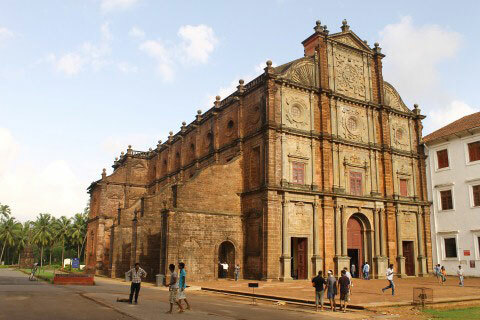 Share the post "Visit these 7 places while touring South/Old Goa"